There’s something about baking from scratch that excites me. It helps me be more creative and personal; especially when I would customize the recipes I use (ingredients, design, etc.). Also, one of the things that I like about baking from scratch is that I am able to learn so much in the process, even if the results are uncertain and it would require more work. 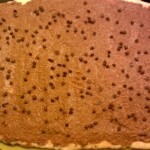 But, don’t get me wrong, I still enjoy baking using the instant mix products. 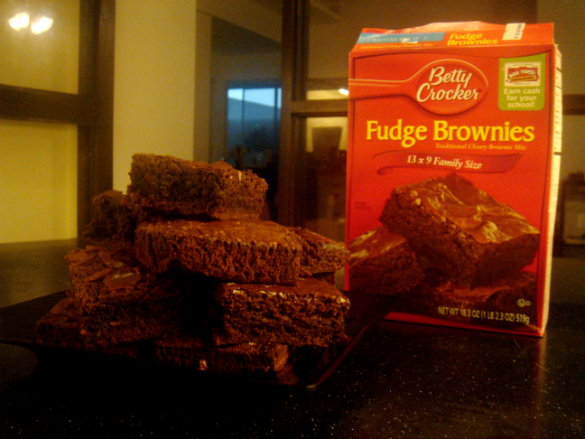 In fact, when I was younger, one of the first desserts that I baked was Betty Crocker’s fudge brownies. 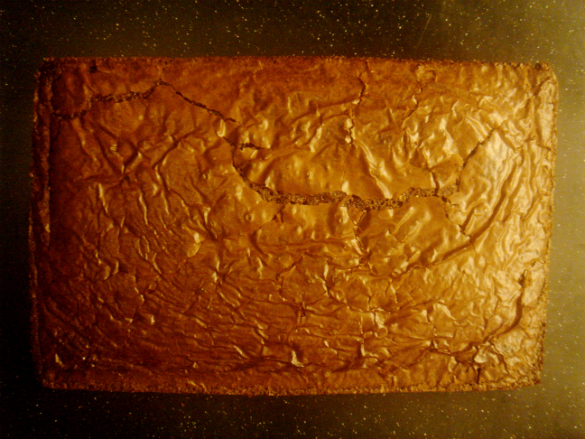 The brownies were fudgy (obviously :P), moist, and very delicious! “Oh wow! Now, I get it! You didn’t allow me to receive any reply from them because you already knew their situation. You knew that they would be halting their business operations soon. And I just realized that if I did get the job, it’s possible that I would also lose it by the end of this year.” I added. “Exactly.” God whispered to me. 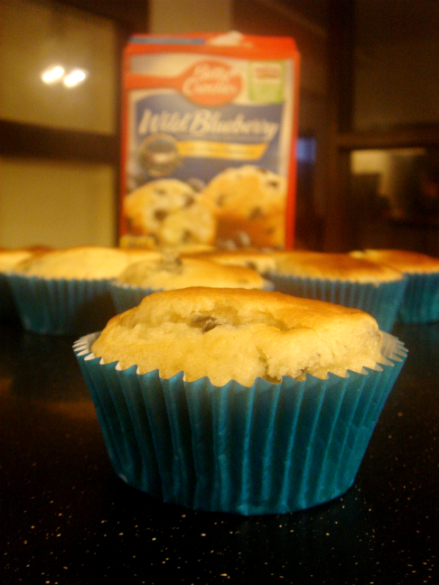 That very moment, I suddenly had the desire to support General Mills Philippines, buy Betty Crocker products, and bake using the instant mix products! 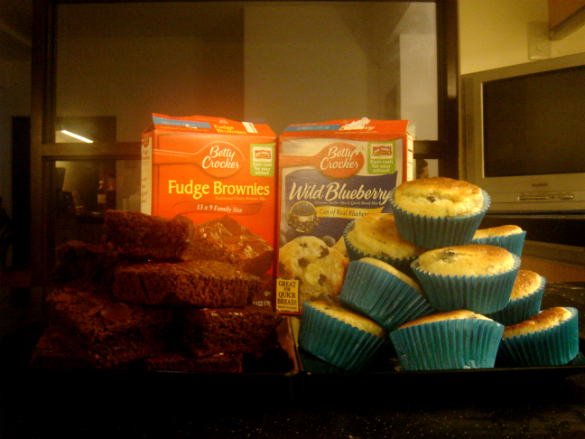 During the weekend, I bought and baked instant brownie and blueberry muffins. It was so quick and easy to do! Everything was already measured. 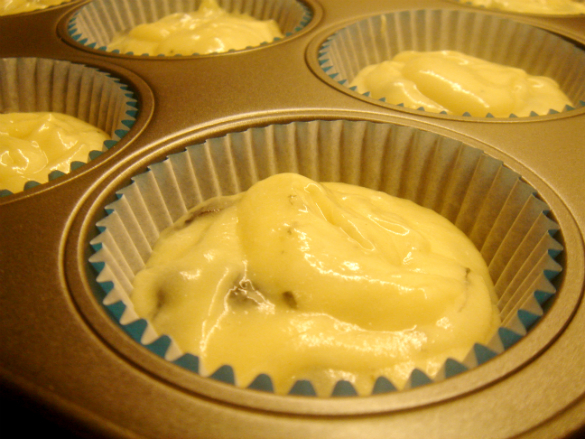 Moreover, even before I finished baking, I knew that they would taste great because they had been tried and tested. 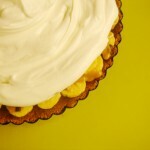 Unlike baking from scratch, I wouldn’t have to experiment with the recipe anymore. 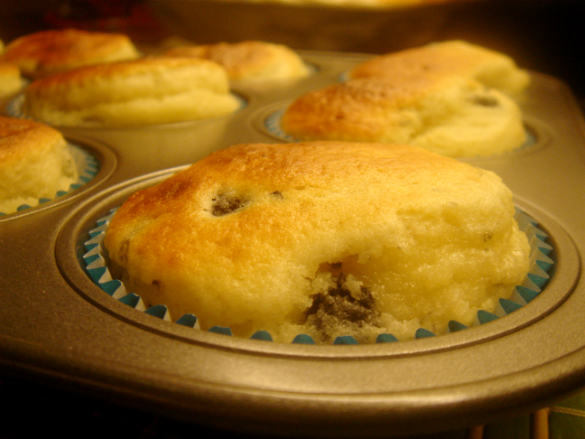 True enough, instantly, I was able to make moist and delicious brownies and blueberry muffins. God used that moment to speak to me again. Similarly, I realized that whenever we ask something from God, we want our prayer requests to be answered immediately. We want to see the results now! 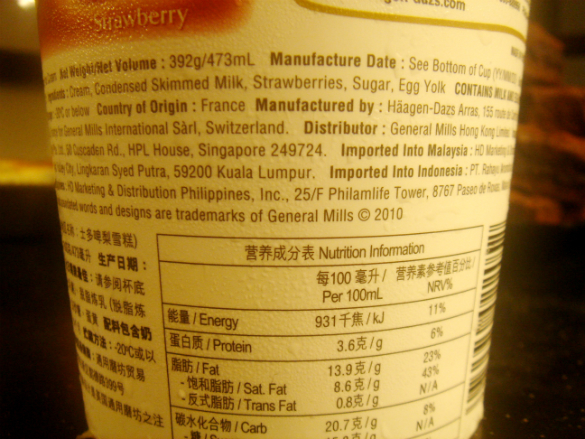 Now, I don’t know the people behind General Mills Philippines and I understand that this is a tough time for them. I also don’t know if they prayed and asked God to save their business or make them successful in their career. But, I do know one thing: Even if their prayers aren’t answered instantly, God still remains to be sovereign. He has always been and He always will be. It amazes me how God continues to reassure me of His sovereignty in our lives, even through the simplest things like baking and a news article. I’m learning that sometimes, God doesn’t answer our prayers immediately because He wants to prepare us first. And, more importantly, I believe that He uses our waiting time as an opportunity for us to seek Him even more than what we’re praying for. It may be tough at times, but I am comforted by the fact that our sovereign God is always in control. Our sovereign God knows everything and what’s cool about Him is that He knows the desires of our hearts more than we do. Have you been praying for something for quite some time now and you still don’t have an answer from God? I’d like to encourage you to keep on doing your part, pray, read His word, and know Him more. :) There is hope in God. There really is. In God’s perfect time, according to His will, and only by His grace, I know that He will answer your prayers… maybe not always in the way that you would expect. But, afterwards, you might also realize that His answers, His ways, His thoughts are the BEST. “Even when answers slowly unwind, it’s my heart I see You prepare. I still believe in Your faithfulness. I still believe in Your truth. I still believe in Your Holy Word. 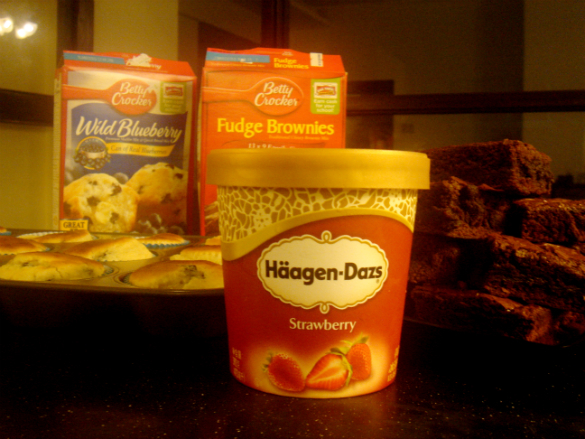 As I end, I would just like to appreciate the company, General Mills Philippines, for bringing in some of the products that I love (Betty Crocker and Pillsbury). Thank you for giving us the opportunities to conveniently purchase those products and enjoy them. I pray that God would continue to give the people behind that company, wisdom and blessing in their future endeavors. *Disclaimer: I am not associated in any way with the company: General Mills Philippines. 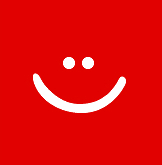 :) Thus, the content of this blog is composed of my reflections and opinions. Hi! 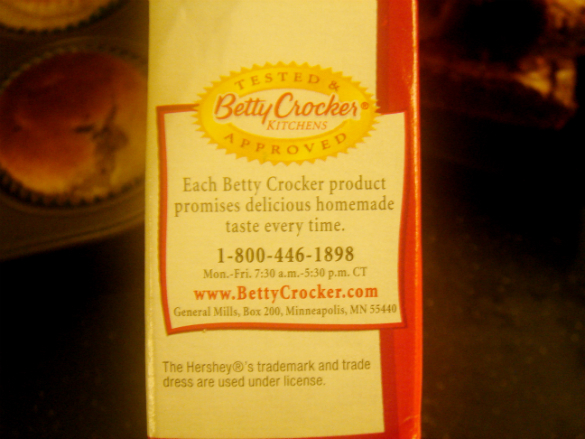 I would like to know where you can buy Betty Crocker in PH or if they still have it there? Because I am using it here in Dubai and I want to share the recipes with my family back home. Me too, thanx i hope i can find in manila than to buy from here in dubai. Ate. 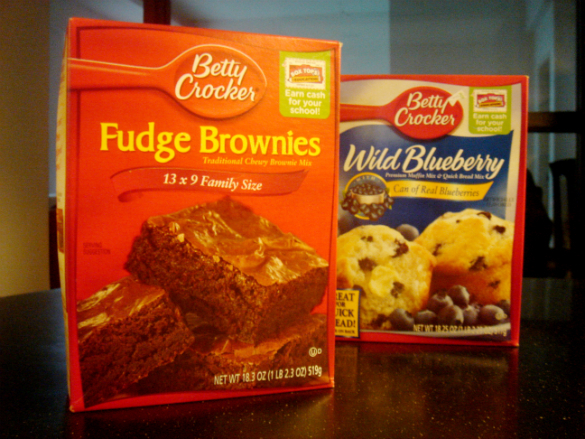 Do you still see Betty Crocker products until now? Where can I buy it? Thanks in advance.